Due to its angled and tapered shape, the Blush Brush enables the easy and precise application of blush to enhance the cheekbones and sculpt the face. Its wavy and synthetic, incomparably soft bristles were specifically designed and selected to provide buildable application of powder blushes, from subtle to more intense looks. Sisley worked with Raphaël, French master brush maker since 1793, to develop make-up accessories to bring out the very best results in the Sisley products. Fresh, natural color builds to your desired intensity with unique sculpted brush. Long-wearing, oil-free formula. In a mirrored silver metal compact. How to use: Sweep both sides of our unique sculpting brush over powder blush. 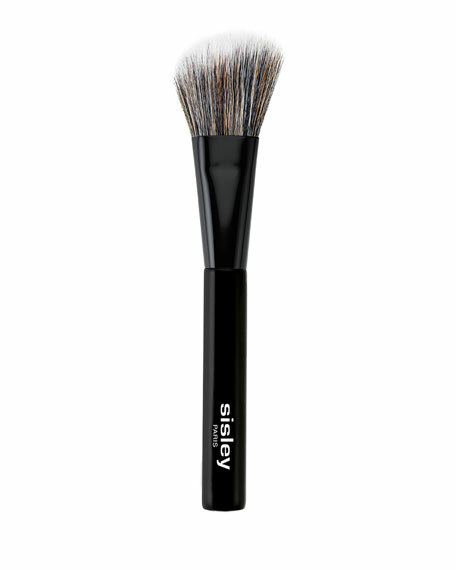 Let brush curves hug your cheekbones as you custom-build colour and define cheek contours. Jane Iredale InTouch Cream Blush, 0.14 oz.